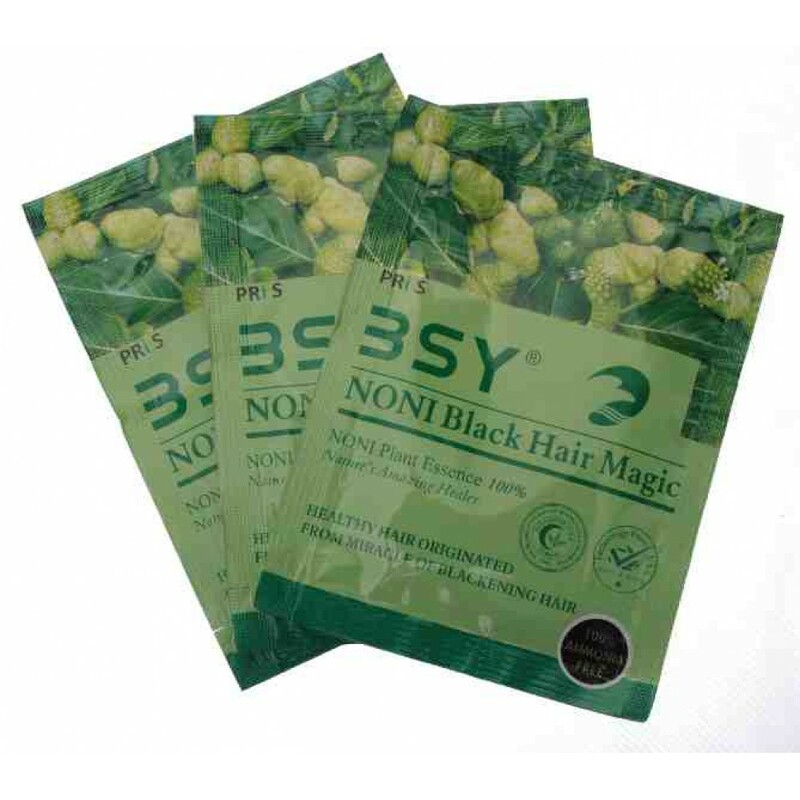 BSY Noni BLACK Hair Magic Shampoo 12ml sachets [Convenient for short hair]BSY Noni Black Hair Ma..
BSY Noni BLACK Hair Magic ShampooBSY Noni Black Hair Magic is made from the pure extract of genu.. Product detailsProduct Dimensions: 10 x 12 x 15 cmFortified with arnica, amla, bhring..
Colour & Care together: Indus Valley Organic Soft Black Hair colour is the blend of Certifi..
Rustic Art Organic Men's SHAVING Bar 50gWith goodness of Grape Fruit Seed Oil, Olive Oil, Coco..
ORGANIC GREEN PUMPKIN SEEDS - 200gOur Organic Unsalted Green Pumpkin seeds are edible can be had.. Ancient Living HYDRATING Shampoo (200 ml)Ancient living Hydrating Natural Shampoo is e..
PAPAYA LIQUORICE SKIN WHITENING Soaps 4 Pc SetContents of this pack4 Soaps 125g each of..
BioBloom HAIR STRENGTHENING Hair Oil 100mlDescriptionThis Hair Strengthening Oil p..
BioBloom HAIR STRENGTHENING Shampoo 200mlDescriptionThis shampoo is made of Ginger Juice, Ba.. 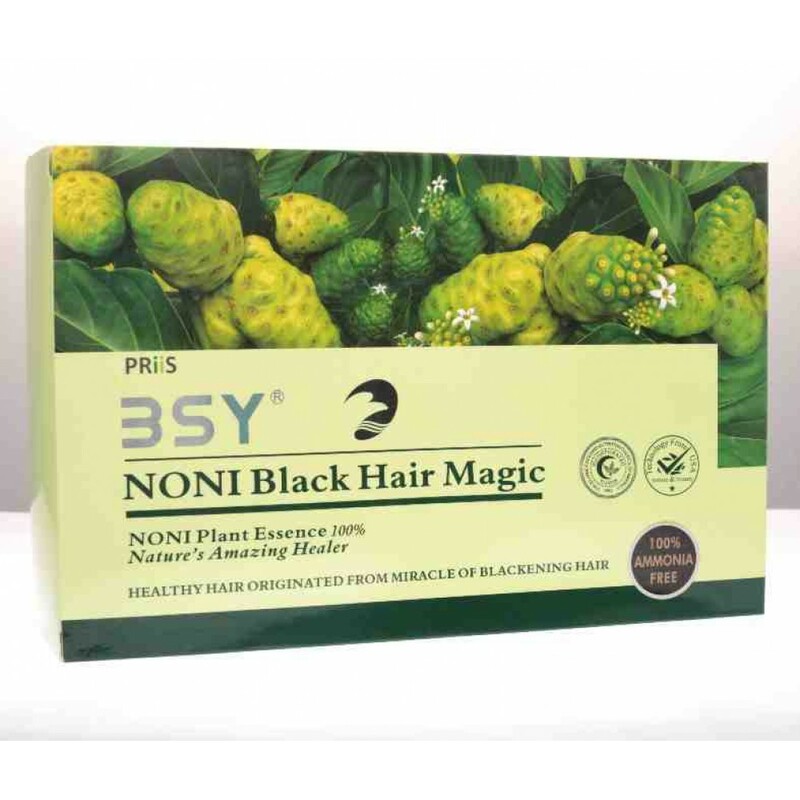 GOAT MILK with SHEA BUTTER Soaps 4 Pc SetContents of this pack4 Soaps 125g each of Goat..
BSY Noni Black Hair Magic is made from the pure extract of genuine Hawaiian Noni fruit, which is medicinally the most effective variety of Morinda Citrifolia of the genus Morinda. It is a natural dye product formulated with various herbal essences for hair nutrition. Developed after years of long research by health experts and scientists, the herbal ingredients will rapidly turn your hair black naturally (just 10 mins) while keeping it healthy. Besides blackening hair, it also has anti-dandruff and nourishing properties that supply essential nutrients to hair roots and effectively prevent hair loss. It does not damage hair and scalp as it contains no harmful chemicals. It is to be used like a shampoo and massaged for 10 mins. Adherence with International Quality standards of WHO, CGMP & USFDA. Wash it off after 10 minutes with plain water to witness the Noni Wonder! Vegetal Bio Colour Soft Black 150gm. Vegetal Bio ColourNo PPDNo Ammonia..
Net content : 1 ltrColorina Instant Hair Colour Natural BlackProperties of our Gel Hair Colo..